Pro-Israel Political Action Committees (PACs):AIPAC does not give campaign contributions itself but instead uses a campaign finance network consisting of aroundthirtyPro-Israel Political Action Committees (PACs), which AIPAC is constantly signaling.Only four of these PACs have names that indicate their true agenda, such as ‘Allies for Israel' or ‘World Alliance for Israel.' The rest have innocuous names like ‘National Action Committee' or ‘Heartland PAC.' Constituents usually don't realize their candidates are receiving money from PACs that advance the interests of a foreign government.. The American Israel Public Affairs Committee (AIPAC):AIPAC is the most prominent governmental lobbying organization on behalf of Israel.Fortune Magazinetypically rates it as thesecond most powerfullobby in the U.S. AIPAC frequently writeslegislationfor members of Congress, which extraordinarily large majorities of both parties typically endorse. It has a$100 million endowmentand annual revenue of about$60 millionand spends about$2-3 millioneach year in lobbying Congress. 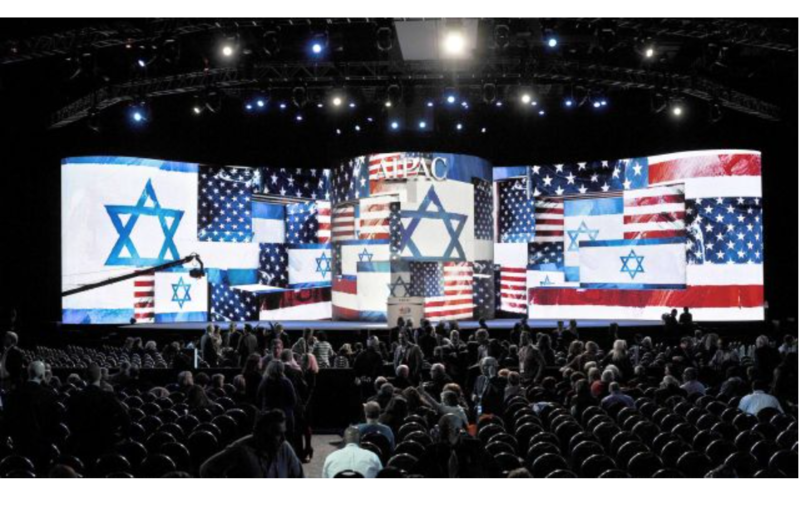 AIPAC's annual conventions are typically a who's who of high government office from both parties pledging their loyalty to Israel. Conference of Presidents of Major American Jewish Organizations (CoP):This group of51 Zionist organizationsalsoadvocates on behalf of Israel, including a focus onIran. It had revenues of over$2.2 millionin 2011. All members of the CoP sit on AIPAC's executive committee. The Conference of Presidents focuses on lobbying the Executive branch while AIPAC concentrates on Congress. The American Israel Education Foundation (AIEF):AIEFis a subsidiary of AIPAC that takes Congressional Representatives on all-expense-paidtrips to Israel. In August 2011,81 members of Congressfrom both parties took trips to Israel with the AIEF. Its annual budget isover $26 million, and its executive director, Richard Fishman, is officially "not compensated," but he receives$395,000annually from affiliates.Roll Callreportsthat in 2012 "The American Israel Education Foundation spent more than $650,000 last year - more than any other group - to send more than 60 lawmakers and staffers to Israel for tours of Jerusalem, seminars on Israeli politics and discussions of asymmetric warfare, according to congressional travel filings." The Washington Institute for Near East Policy (WINEP):WINEPis a highly influential think tank that pushes Israel-centric Middle East policies. It was founded by a former AIPAC employee, and while it claims to promote a "balanced and realistic" understanding of the Middle East, it is "funded by individualsdeeply committed to advancing Israel's agenda." It is frequently called upon by both the government and the media to provide "expert" analysis on Middle East issues. Its 2010 revenues were$9.4 million, and its net assets total$23.5 million. Former AIPAC member MJ Rosenberg stated: "I was working at AIPAC and it was Steve Rosen who cleverly came up with the idea for an AIPAC controlled think-tank that would put forth the AIPAC line but in a way that would disguise its connections." More information ishere. Anti-Defamation League (ADL):The ADLbills itselfas a civil rights institution devoted to stamping out anti-Semitism. But in practice, it regularly works topromote Israeli interestsand attacks virtually any prominent person who criticized Israel and labels them "anti-Semitic." It has also been involved in a largespying operationagainst American citizens who opposed the policies of Israel and the Apartheid regime in South Africa. It is an architect of "hate crimes legislation" that may effectivelycriminalize criticism of Israeli policies. The ADL is a member of the CoP with revenues of around$60 millionand net assets of over$115 million. Abe Foxman, its national director, makes$688,280 per year. International Fellowship of Christians and Jews (aka Stand for Israel):Founded in 1983 by Rabbi Yechiel Eckstein "to promote understanding between Jews and Christians and build broad support for Israel," it promotesadvocacy for Israelamong mostly right-wing Christians. It has annual revenues of nearly$100 million. Central Fund of Israel,based inManhattan,saysit funds "over 250 charitable causes in Israel." AHa'aretzinvestigation found it funneled much of its money to settlements; it has sent money to an extremist Israeli organization in which the"rabbis heading the yeshiva published a book that discussed the circumstances in which non-Jews can be killed." It has received"tens of millions of dollars"in donations. In 2015 its revenue was$20 million. The Gideon Project was created by Reservists On Duty "to give students fluent in English a chance to represent and defend Israel internationally after their service." Soldiers speak on campuses throughout the U.S. Video here. Christians United for Israel (CUFI):CUFIis a right-wing Evangelical Christian organization run byDavid Brog, a Jewish American attorney who previouslypracticed corporate law in Tel Aviv, Israel. He's the author ofReclaiming Israel's History.In 2007, theForwardnewspaper listed Brog in its "Forward 50" most influential Jews in America. The titular founder of CUFI isJohn Hagee. CUFI, which distorts Biblical teachings,has high-level contacts with the Israeli government. Despite a budget of$7 million, it may belosing groundas more evangelicals learn the facts about Israel. It has alobbying arm, calledCUFI Action Fund, first reported inThe Washington Post, run by Gary Bauer, one of the signers of the Statement of Principles ofProject for the New American Century (PNAC)on June 3, 1997. Bauer also serves on the board of theEmergency Committee for Israel.In 2010 he received theDefender of Israel Award from the Zionist Organization of America. CUFI Action Fund's Communications Director isAri Morgenstern, an Israeli citizen who previouslyserved at the Israeli Embassy in Washington. The fund, Bauer said, will have a multimillion-dollar budget and a dozen staffers who will focus on pro-Israel lobbying among members of Congress and presidential candidates. In 2017 it began ascorecardof legislators' every vote and comment about Israel. Simon Wiesenthal Center:According to itswebsite: "The Simon Wiesenthal Center is a global Jewish human rights organization that confronts anti-Semitism, hate and terrorism, promotes human rights and dignity, stands with Israel, defends the safety of Jews worldwide, and teaches the lessons of the Holocaust for future generations." It has "a constituency of over 400,000 households" in the US. It is headquartered in Los Angeles, with offices in New York, Toronto, Miami, Chicago, Paris, Buenos Aires, and Jerusalem." It gave its "Humanitarian Award" toHarvey Weinsteinin 2015 despite the open secret of Weinstein's assaults on women.In 2011 it had an annual budget of$24 millionand net assets of$67 million. The Israel Project:Founded in 2003, the Israel Project specializes in pro-Israel propaganda targeting the press and the American public. In 2009, a secret handbook commissioned by The Israel Project and written by Republican pollster and strategist Frank Luntz, "The Global Language Dictionary," wasexposed by two Newsweek reporters. The handbookcrafts language and talking pointsfor Israel advocates in simplistic, diversionary, and dishonest ways. The organization has 70 employees and an$11 million annual budget. In 2011 it opened additional bureaus in India and China and launched a website in Arabic. Friends of the Israeli Defense Forces (FIDF):This American organization supports the Israeli armed forces. It hostslavish fundraisersand has fourteen regional offices in the U.S. and one in Latin America. FIDF also bringshundreds of Israeli soldiersto the U.S. every year to lecture at synagogues, universities, and schools in order to increase American support for Israeli policies. It has annual revenues of around$60 millionand net assets of$80 million. Hadassah (Women's Zionist Organization of America):Founded in 1912, Hadassah is "a volunteer organization that inspires a passion for and commitment to itspartnership with the land and people of Israel." It has chapters across the U.S. and "more than 330,000... Members, Associates and supporters." It regularly advocates on behalf of Israel and is currentlypushing anti-Iran legislation. It has annual revenues of nearly$100 millionand$400 millionin net assets. America's Voices in Israel (AVI):A project of the Conference of Presidents, AVI works to "strengthen American understanding of andsupport for Israelby inviting U.S.-based radio talk show hosts to see Israel and broadcast their programs live from Jerusalem." It also bringscelebritiesand other "opinion makers" on guided tours of Israel. The Jewish Agency for Israel:The name is often shortened to just "The Jewish Agency." According to its website, founded in 1929, this links "Jews around the world with Israel as the focal point... " Major activities include Jewish Zionist education and building a global Jewish community. "In addition to extensive programs in Israel, it operates in close to 80 countries on five continents through a network of over 450 emissaries, including hundreds of formal and informal educators. The world Jewish community participates in the Jewish Agency's decision-making process through the Assembly, its supreme governing body, and its Board of Governors, which is responsible for policy making and oversight." The Jewish Federations of North American are afundraising partner, with individual Jewish Federations from numerous American cities listed. Young Judaea:According to itswebsite, the organization was founded in 1909 and is "the oldest Zionist youth movement in the United States." It brings young peopleto Israeland also has numerous summer camps in the US that serve to"instill a lifelong love" of Israel. It's annual budget isapproximately $200,000. American Friends of Likud:According to itswebsite,AFL"has developed unparalleled relationships with the Likud [a right-wing Israeli political party] Ministers and Members of Knesset as well as other Israeli dignitaries and policy and opinion makers. Our programs feature these individuals as guest speakers, lecturers and educators. Our special relationships with Israel's leaders,dignitaries, journalists, etc. have been developed over the years and are based on a mutual belief in a right-leaning Likud philosophy." Based in New York City, it is a has an annual budget of approximately $300,000. AFLisreportedto be "one of hundreds of ‘Friends of' Israel organizations in the US -all 501c3 tax-exempt charities raising funds to send to their parent organizationsin Israel." American-Israeli Cooperative Enterprise (AICE) [Jewish Virtual Library]:This nonprofit organization was established in 1993, according to itswebsite, in order to "strengthen the U.S.-Israel relationship." Itsprincipal publication isMyths & Facts:A Guide to the Arab-Israeli Conflict. It also works to fight "the delegitimization of Israel," producing materials to oppose the BCS campaignand publishingtheStopBDS.comwebsite. There seem to be a number of AICE branches. The one in Chevy Chase assets of almost$11 millionas of 2013. Its leader is Mitchell Bard. The organization sometimes fundsprofessorson US campuses. TheIsrael Allies Foundation:Its websitestates: "Pioneered by MK Rabbi Binyamin Elon, the Israel Allies Foundation (IAF) works with Congress and parliaments around the world to mobilize political support for Israel based on Judeo-Christian values." Officially titled International Israel Allies Caucus Foundation, it coordinates similar caucuses in35 countriesand has approximately$2 millionin resources. The Jewish Policy Center:Itswebsitesays it"provides timely perspectives and analysis of foreign and domestic policies by leading scholars, academics, and commentators" and "passionately supports ... U.S.-Israel security cooperation, and missile defense. We support Israel in its quest for legitimacy and security." The JPC alsosays: "We also support U.S. efforts to spread democracy in the Middle East. We believe it is critical to reduce America's dependence on foreign oil. We support Washington's efforts to deter dangerous states from acquiring nuclear weapons. Finally, we lend our full support to Israel in its long war for security in the Middle East." The Haym Salomon Center:According to itswebsite, The Haym Salomon Center is a news and public policy group that produces content that oftenappears inmainstream and new media outlets. Its articleshave been published inUSA Today, the New York Daily News, Fox News, The Hill, the Washington Times, the Wall Street Journal, etc. Many of its articles focus on Israel,the dangers of "political Islam," and"antisemitism," which frequently means opposition to Israeli human rights violations. Itoperates underOver the Horizonnonprofit organization, which in2014had approximately a quarter of a million dollars. The Foundation for Jewish Camp:This nonprofit foundationstateson its website that in in Jewish camps "Israeli culture is celebrated through song, food, art, and dance," andreports, "The magic of Jewish camp is rooted in its 24/7 atmosphere" and says that "connection to Israel" is "entwined with basketball, arts and crafts and swimming." It notes that some camps are particularly "focused on Zionism and the role of Israel in Jewish life." It reports that in one of these, CAMP INC., "Israel education will be embedded in the program as campers learn about Israel through the lens of their entrepreneurial sector. Campers will learn from high-level mentors, teachers, and business pioneers. Camp Inc., under the direction of Josh Pierce, will be operated by the Boulder JCC. "Another, URJ 6 POINTS SCIENCE ACADEMY "will immerse them in a vibrant Jewish community filled with Jewish music, Shabbat experiences, and living connections to Israel." It states that the Academy, the 14th in the Union for Reform Judaism's camp system, will be located in the Boston, MA area. Funding comes from a grant of $8.6 million jointly funded byThe Jim Joseph Foundationand theAVI CHAI Foundation. The Jim Joseph Foundation:This is a DBA of theShimon Ben Joseph Foundation, which faqs.orgreportshas assets of$837,220,914.Its websitereportsthat among the activities its sponsors is "Israel Education," which includes "twinning day schools with schools in Israel; integrating Israel education with learning taking place in general studies courses; and showcasing Israel's arts and culture so students and teachers are in direct contact with what is happening in Israel today." The Avi Chai Foundation:According to its 2010 form990 reportit had total assets of $614,997,808. One of its primary North American focuses, according to its website, is "Promoting Jewish Peoplehood and Israel." It states: "Israel studies and Israel advocacy have become centerpieces of AVI CHAI's peoplehood efforts in North America. All of the day schools receiving support from AVI CHAI have agreed to include in their materials, as an expression of their own philosophy, the following statement: "The creation of the State of Israel is one of the seminal events in Jewish history. Recognizing the significance of the State and its national institutions, we seek to instill in our students an attachment to the State of Israel and its people as well as a sense of responsibility for their welfare." Stand with Us:Stand with Us has headquarters in Los Angeles and chapters in Israel, Europe, Britain, Australia, and South Africa. Its annual budget is at least$4 million, though this may only cover the U.S. section.It has a number of divisions, includingStandWithUsCampus,StandWithUs International,United4Freedom,Stand4Facts,LearnIsrael,Librarians for Fairness, andEmerson Fellows.Student leaders are trained to advocate for Israel on campuses around the country. The organization has erected numerous pro-Israel, anti-Palestinian billboards around the U.S. "Israelis invested $57 billion in U.S. Companies" is one of them. For a deconstruction of this billboard gohere. Washington observers may feel there is no obvious shortage of pro-Israel lobbyists in the city-but a group of leading American conservatives thinks otherwise and has set up a new campaign group to attack President Obama over his ‘anti-Israel' stance. The Emergency Committee for Israel presents a potent combination of Republican Party neoconservatives and Evangelical Christians. The new group's board includes Weekly Standard Editor William Kristol and Gary Bauer, a former Republican presidential candidate who leads the group American Values, as well as Rachel Abrams, a conservative writer and activist. The Committee produced an advertisement against Ron Paul that ran in South Carolina because of Paul's opposition to U.S. aid to Israel and other countries. ECI is currently funding tens of thousands of dollars worth of anti-Obama advertising. "[Leona Helmsley] left instructions for her charitable trust fund... to benefit dogs. But the courts ruled that the Leona and Harry Helmsley Trust Fund she had established after her husband's death was not legally bound to fund animals only, and that its grants should be directed solely at the discretion of the trustees she had appointed. Fortunately for the State of Israel, Mrs. Helmsley chose Sandor (Sandy) Frankel, 69, a local Jewish attorney who worked closely with her the last 18 years of her life, to be one of the four trustees who now oversee that major trust. Frankel, who is married to an Israeli and has visited Israel frequently since he was a teenager, is proud to say that he has a passion for the Jewish state. Among the projects receiving its multi-million grants was a new press center in Israel. At its opening Frankel announced: "Our hope is that with the opening of the club's doors, the press will flock here, and will accurately report" on the country and its people. AMIT:According to its website: "Founded in 1925, AMIT is the world's leading supporter of religious Zionist education and social services for Israel's children and youth, nurturing and educating Israeli children to become productive, contributing members of society." It has numerous chapters throughout the U.S. It sponsorslecturesabout Israel, holdsscreeningsof Israeli films,participates in pro-Israel parades, etc. In2011itsannual expenses were over $8 millionand its net assets were$11,705,151. Its executive vice president was paid $120,292. Aaron and Marie Blackman Foundation, Inc:Net assets of about$7 million(see alsohereandhere).Distributesgrantsto various Israeli organizations and other organizations with relationships with Israel. Jewish Day Schools:AsShalom School in Sacramento states, many of these schools work to"instill in our students an attachment to the state of Israel." They frequently have school trips to Israel (e.g. theJewish Day schoolin Seattle). Their mission statements note that they teach "the centrality of the State of Israel" (seeContra Costa Jewish Day School). These are usually tax exempt institutions, which means they are subsidized by U.S. taxpayers. Jewish Council for Public Affairs (JCPA):The Jewish Council for Public Affairs acts as an umbrellaformany smallerorganizations. One of its three goals, as announced in itsmission statement, is to work for "the safety and security of the State of Israel. "Itsannual funding is$3,128,795and comes primarily from private individuals. Jewish National Fund (JNF):The Jewish National Fund is an international organization founded at Basil Switzerland byTheodore Herzlin 1901. The fund was originally created with for the purpose of purchasing land in Palestine for a future Jewish state. Today the main focus for the JNF is land"reclamation" and forestry. However, the group also serves to fundIDF military installations.The organization is well funded by donors with total assets of$1.15 billion dollars. 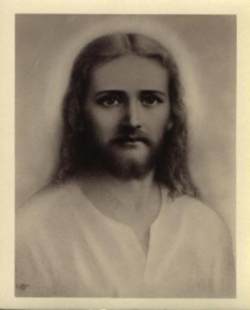 Zionist Organization of America (ZOA):The Zionist Organization of America was established in 1887, making it theoldest pro-Israelorganization in the US. Their goal is to spread the Zionist message wherever in all aspects of American life. Their objectives include spreading Zionism on Americancampuses, work to advance the interests Israel and Jewish people within theAmerican legal system. They also engage in pro-Israel lobbying, with expenditures totaling$299,900in 2009. Theirfinancesinclude over $8 Million in assets and $2.5 million from donors. American Jewish Committee (AJC):The American Jewish Committee, founded in 1906, is based is San Francisco. In itsmission statement, the AJC espouses support for leftist values, such as "shared democratic values" and "energy independence of the US," while alsoadvocating the right of Israelto exist as an exclusionary Jewish state. Its annual income is about$49,525,000and comes largely from private individuals, with its assets totaling$132,310,000. It played a major role in creating the newIsrael-centricdefinition of antisemitismthat is being embedded around the world. World Jewish Congress:The World Jewish Congress is an internationalorganizationrepresenting Jews in 100 countries.Supporting Israelis one of the key components of its mission. Although its global finances are unknown, its US offices have an annual revenue of$5,521,674. Friends of Aish Hatorah: Aish Hatora, Hebrew for "fire of the Torah," is an Orthodox Jewish organization founded in 1974 and headquartered in Jerusalem. The group is known for a number of pro-Israel programs, including TheTheodore Herzl Mission, which brings heads of state to Israel for one week each year. They also have a program called theHasbara Fellowship, where people can come from around the world to learn how to effectively engage in pro-Israel propaganda. The group has also been linked to the distribution of an anti-Islamicpropaganda filmduring the 2008 American presidential campaign. Because Aish Hatora is based in Jerusalem with various global branches, the details of their funding are unknown. Chabad:Chabad-Lubavitch is an18thcentury Hasidicmovement that is now the largest Jewish organization in the world.Although they are a religious group, their support of Israel verges on zealotry; oneChabad Rabbihas even encouraged Jewish people to kill "Arab men, women, and children. "Chabad sometimes openlyteachesthat "the soul of the Jew is different than the soul of the non-Jew." The groupis incredibly well funded and has a reportednet worthof $1 billion dollars. Republican Jewish Coalition:The Republican Jewish Coalition Jewish is a lobbying group whosemission statementincludes the "embrace of pro-Israel foreign policy." The RJC maintains close links to theLikudparty of Israel. They also control aSuper Pac, which has upward of 2 million dollars in their war chest. Their Annual revenue is$10,067,507. The vast majority of theirfundingcomes from various organizations. National Jewish Democratic Council:TheNational Jewish Democratic Councilis a group dedicated to maximising Jewish support for the Democrat party, increasing support for "Jewish domestic and foreign policy priorities," and "secur[ing] a democratic Jewish state in Israel." NJDC supports Likud policies and pushes for a hawkish stance against Iran, urging the President of the United States to "stand with Israel." Its annual income is$1,161,195and is funded byprivate individuals. Foundation for Defense of Democracies:The Foundation for Defense of Democracies is an international organization whoseclaimed goalis "fighting terrorism and promoting freedom" and "defend[ing] free nationsfrom their enemies." It developed from the educational initiativeEmet, which was created to "win American sympathy for Israel's response to the Palestinian intifada." While its mission may appear neutral, the organization is dedicated to promoting thesecurity of Israel. Among its other projects is theIran Project, which revolves around "supporting energy sanctions." It isfunded largelybyprivate individuals' donations. Its annual income is$7,267,839.JINSA:JINSA is a non-profit organization whosemandateincludes promoting a "a strong U.S. military, a robust national security policy, and a strong U.S. security relationship with Israel..." Their total revenue is$3,332,140from contributions and program services. Saban Center at Brookings:The Saban Center for Middle East Policy is part of theBrookings Institute. Its mission statement includes atwo-state solutionfor Israel/ Palestine. "Ardent Zionist"Haim Saban, a former AIPAC official, funds the institute. Center for Security Policy:Founded and led by neoconservativeFrank Gaffney, a longtimeIsrael partisan, CSP works to promote a closeUS-Israelrelationship and to positionIsrael's enemiesas allegedly US adversaries. It's annual budget is approximately$4 millionand Gaffney himself earns over$288,000yearly. The Institute for Policy Studiesstates: "...(CSP) is a prominent member of the neoconservative advocacy community that has promoted extravagant weapons programs, an Israel-centric view of Middle East peace, and a broad "war on terror" against ‘Islamofascists. '......A primary target of CSP's work is Iran." MEMRI:The Middle East Media Research Institute is an organization founded in the US in 1998. It'sstated objectiveis to "inform the debate over US foreign policy in the Middle East." However, MEMRI is ashadowy organizationthat does not disclose names of staff members nor office locations. Analysts have commented thatMEMRI appears to function as a propaganda organization that circulatesbiased translationsin order to portray Arabs in the most negative possible light. One of theorganization's founders worked as anIsraeli military intelligenceofficer. MEMRI has full non-profit status in the US and receives donations and grants amounting to $4,872,208 annually. Hillel:Hillel is a Jewish international student organization. According to itsweb page, Hillel "fosters an enduring commitment to Jewish life, learning and Israel." Its president hasstated: "We are a pro-Israel organization. It is part of our mission to encourage students to build an enduring commitment to Israel as a Jewish and democratic homeland." Hillel sponsors and promotes free "birthright" trips to Israel. These trips position Israel as the "homeland" for European and American Jews. Hillel collectsannual revenueof $25,920,017, primarily from gifts, grants, and contributions. Hillel has had aprogramto try to expand its reach by "paying students to attract other students" to Hillel. In 2014 some students launched an Open Hillel to challenge the Hillel establishment and work to allow campus groups "to adopt policies that are more open and inclusive than Hillel International's, and that allow for free discourse on all subjects within the Hillel community" and that represent "a Jewish community where the full diversity of Jewish views on Israel-Palestine is accepted and celebrated." Birthright Israel:Birthright Israel is an organization that provides free ten-day holidays to Israel for young Jewish adults, age 18 to 26. Theirobjectiveis to, "strengthen Jewish identities, Jewish community, and solidarity with Israel..." Their web page strongly emphasizessupport for Israel.Philanthropists, along with 14,000 individual donors,fundBirthright Israel. Theirtotal revenueis $101,960,863. David Project:The David Project is a non-profit educational program for the dissemination of pro-Israel propaganda in schools. Their primary goal is justification forIsraeli actions, which is often referred to in the Hebrew term, "hasbara" (explaining). Theirobjectiveis, "work[ing] directly with students and Israel groups to help them reach out to their peers and talk about Israel." The David Project hasannual incomeof $2,824,763. However, the source of this income is unclear. Amcha Initiative:The Amcha Initiative is a group whosestated objectiveis to protect Jewish students from anti-Semitism.Their definitionof anti-Semitism is broad and encompasses virtually any criticism of Israel, including criticism of Israel's human rights abuses. The group also lists the Boycott Divest and Sanction movement as an example anti-Semitism. Theirannual incomeis $199,155. The source of this income is unclear. Young Israel:The National Council of Young Israel is a group of 146Orthodox Jewish congregations. Starting in 1912, Young Israel'sweb pageclaims that the group has always been "fiercely Zionist" and even boasts the acquisition of arms for the Jewish terror group Haganah. Young Israel currently offersmaterial supportto the Israeli Defense Force as it engages in attacks on Palestinians in Gaza. Because Young Israel is an umbrella for over 100 individual non-profit organizations, it is difficult to ascertain the amount and sources of the group's income. Ateret Cohanim:American Friends of Ateret Cohanim is a non-profit organization based in Jerusalem. The purpose of the organization is the urban renewal of Jerusalem throughJewish gentrification. Their web site boasts of a new Jewish presence in the Christian and Muslim quarters of the Old City, and proclaims Jerusalem to be a city belonging to every single Jew, in spite of the fact that Israel's annexation of East Jerusalem is still not recognized underinternational law. The group maintains an office in New York withannual revenueof $1,054,618. Elad:The Ir David foundation (Amutat EL-AD) is a non-profit organization established in 1986 by David Be'eri, a former elite military commander ofthe IDF. According to theirweb page, the group "is dedicated to the preservation and development of the Biblical City of David and its environs." However, the Ir David foundation is best known for its policy of "Judaization of east Jerusalem" through forced evictions and housing purchases. In recent years, their activity in East Jerusalem has been linked toviolent clashesbetween Palestinians and the new Jewish residents. Ir David has a US auxiliary in New York called Friends of Ir David with total annual revenue of $5,884,950. BBYO:Itswebsitesays: "BBYO is the leading pluralistic teen movement aspiring to involvemore Jewish teens in more meaningful Jewish experiences. For 90 years, BBYO has provided identity enrichment and leadership development experiences for hundreds of thousands of Jewish teens." Itpridesitself on its"unwavering commitment to the State of Israel." The sitesays: "BBYO's history is closely tied to that of the State of Israel. As the future leaders of the global Jewish community, it is our responsibility to learn about, appreciate and advocate for Israel." Its 2015 annual budget was$27 million. Israeli-American Council:According to theJewish Daily Forward, the Israeli American Council (IAC) aims to establish the Israeli expatriate community living in the U.S. community "as a ‘strategic asset' for Israel in the U.S." The goal is to be a "a potent political force in the future." IAC was established in Los Angeles in 2007, but expanded dramatically in 2013 when casino mogul Sheldon Adelson's began to serve as its main funder. About 700 expatriate Israelis participated in the "first-ever national political conference exclusively devoted to the expat Israeli community" in Nov. 2014. "Current IAC programs include: Tzav 8 (recruiting thousands for pro-Israel rallies); Financing the Israeli "Shlichim" at all major campuses in Southern California; Organizing and funding the Los Angeles Independence Day Festival - the largest Jewish festival in North America, as well as dozens of ceremonies, holidays and mass events for the community; Sifriyat Pijama B'America, through which 10,000 families nationwide enjoy Hebrew bedtime books sent to their kids by mail, free of charge on a monthly basis; IAC-BINA club, consisting of approximately 1,500 Israeli and American Jewish young adults who convene discussions and activities relating to Jewish identity and support for Israel; establishing and funding the IAC-Care project in which thousands of the community members volunteer and organize large scale drives; and Mishelanu (the leadership program for Israeli-Americans students). "IAC activities are funded by its board of directors, its members, and donors within the Israeli-American and the Pro-Israel American communities, including Sheldon and Miri Adelson, Haim and Cheryl Saban, Beny and Adele Alagem, Leo and Ruth David and David Wiener. In addition, the organization receives support from several Jewish-American foundations in the U.S."
More information is available on its website, including its board of directors. It reports that its annual budget is over $3 million. Oddly, no 990 reports can be found for it. Israel-America Chamber of Commerce:The Israel-America Chamber of Commerce (AmCham Israel) is an organization of companies and individuals dedicated to the promotionof two-way trade and investment between Israel and the United States of America. The U.S. Ambassador to Israel serves as Honorary Chairman of the AmCham.Just one of its subsidiaries has a $100,000 annual budget. An example of such an individual is the current US Ambassador to Israel, Daniel Shapiro, who gave a speech in which he detailed his extremely close, life-long ties to Israel, concluding: "[A]s a committed Jewish American, with deep roots in the American Jewish community and warm bonds of affection with Israel, I will have an opportunity to draw on those associations to help make the U.S.-Israel relationship, strong as it is, even stronger in the years ahead." He stated that "ensuring Israel's future" drives all US policies. See "US Ambassador: Support for Israel drives all US policies"
Howard Berman, Democratic Congressman from California, acknowledged in a 2008 interview with the Forward, "Even before I was a Democrat, I was a Zionist." He went on to explain that "an interest in the Jewish state" was one of the main reasons he first sought a seat on the House Committee on Foreign Affairs, where he is the top Democrat. Berman, who is known as "the Congressman from Hollywood," also told the Forward, "He is particularly keen on getting the House more involved in Iran-related issues." Haim Saban, multimedia mogul whose net worth is over $3 billion dollars, has said, "I'm a one-issue guy and my issue is Israel." In 2010, he told New Yorker magazine that his greatest concern is to protect Israel by strengthening the United States-Israel relationship. Saban has bluntly outlined his formula for gaining influence in American politics: make donations to political parties, establish think tanks, and control media outlets. He tried to buy Time and Newsweek magazines, and has made repeated bids for the Los Angeles Times because he considers the paper to be pro-Palestinian. He donated $9 million to Democrats in the 2002 election cycle alone. Rahm Emanuel (full name Rahm Israel Emanuel), powerful Democratic politician -Congressman, chair of the House Democratic caucus, mayor of Chicago (despite allegations that he had not been a Chicago resident), in Bill Clinton's administration (had been Clinton's main fundraiser), White House Chief of Staff under President Obama, etc. Volunteered with the Israeli military during the first Gulf War (his father had served in the pre-Israel terrorist group the Irgun), was Israeli citizen until age of 18. There's no card to carry that says one is part of the Israel lobby. But taken as a whole, this sampling of powerful pro-Israel organizations demonstrates how information is systematically skewed before it reaches the American public. Politicians and journalists are systematically harassed, often losing jobs, if they step out of line. There is no comparable pressure from the Arab-American side, much less from stateless Palestinians, who have no army, little money, and very little cultural influence or PR savvy. By contrast to the $3 million given by pro-Israel PACs in 2010, the two Arab-American PACs-Arab American Leadership Council PAC and Arab American Political Action Committee-gave a total of $36,500. * PACs: Usually a PAC can only donate $5,000 for a primary and $5,000 for general elections. But with thirty "unaffiliated" PACs marching in lockstep behind AIPAC, this can balloon up to $300,000 for any given candidate. The extent of this influence remains hidden from view. They also use "bundling," which means taking various individual donations and handing them over en masse to a candidate, so that on the books it shows up as several individual donations, but everyone except the FEC understands who's really controlling the money. A 1996 book called Stealth PACs reports that "in 1988, Israel's lobby had 78 PACs spending more than $5.5 million to bribe Congress to vote more aid for Israel. That was more than total contributions together of the two next largest special interests in the United States-the real estate lobby and the teamsters." During the 2010 elections, Israel-affiliated contributions were the third highest of any special interest at nearly $3 million (with almost equal amounts given to Democrats and Republicans). But because that number was broken into pieces and hidden behind unrelated names, pro-Israel contributions didn't "officially" make the top twenty. One example is Washington Pac, founded by Morris Amitay, former head of AIPAC. Its website states: "...over three million dollars has been carefully distributed on a bipartisan basis to Senators, Representatives, and candidates... Its Capitol Hill location enables the PAC to meet with Representatives and Senators on an almost daily basis. The Advisory Board holds regular luncheons with U.S. Senate candidates, and the PAC's newsletter has earned an esteemed reputation for its analysis of the U.S. Senate races." Teva:Not all PACs with connections to Israel are included in the pro-Israel list. For example, the parents company of the Teva PACTeva Pharmaceuticals USA, isTeva Pharmaceutical Industries, an Israeli company, the world's largest generic drug maker. It has achieved its astronomical sales by at timesinfringing on patents(althoughJudge Sidney Steinjust rejected a similar claim- Stein alsorejecteda freedom of speech law suit related to the Palestinian issue).Teva's websitestates, "Teva Government & Public Affairs seeks to provide legislators and policy makers with both policy and political assistance on issues of importance to patients, the company, its customers, and the pharmaceutical industry as a whole.